VOBI 11 20 09: ARE THEY WAKING UP AT LAST, OR WHAT? When we read in Vanguard Newspaper of November 14 2009 a statement credited to the President General of Ohaneze Ndigbo Chief Ralph Uwechue: “Igbo marginalization can break up Nigeria” we couldn’t help but experience a fleeting moment of satisfaction and even relief. At last, an Igbo leader is stepping up to the plate; at long last an Igbo leader is showing some spine and may be even balls. May be an Igbo leader will stand up and speak truth to corrupt power; may be Igbo leaders will rise from their moral death beds; may be; just may be. Biafraland dot com is the homesite of Biafra Actualization Forum (BAF), an organization solely dedicated to bringing about the independent sovereign Igbo nation of Biafra, using peaceful means. Actualization of Biafra, a sovereign independent nation, using peaceful means. To encourage sincere and honest dialogue with all nations in Nigeria aimed at peaceful separation of Biafra (and other nations, if they so desire) from Nigeria. Biafra Actualization Forum (BAF) was formed out of a real need to rescue Igbo people, land and culture from the merciless and brutal stranglehold of Nigeria, and accomplish this using peaceful means. 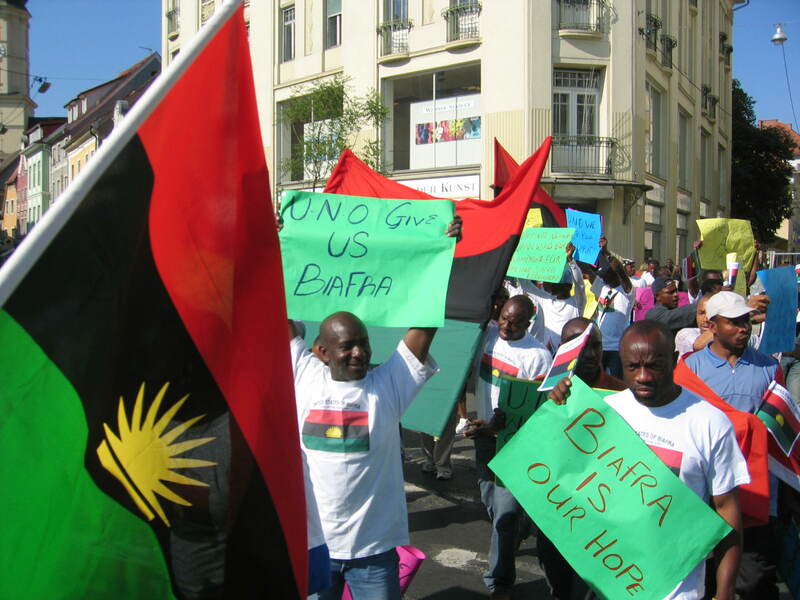 Members of BAF are drawn from the Igbo and other Biafrans all over the world. BAF supports all persons, organizations and institutions who share the common goal of Biafra actualization using peaceful means. This website has text, audio, and graphics, as well as interactive areas. It is teeming with information. It is also constantly being updated. We recommend all users to check out "Archives" and "New on Biafraland site" and /or the table of CONTENTS at each visit to get a sense of what the site offers, new and old. Then, tell your friends about the site. Remember, you can send each page to a friend by email: just click on FILE, then, SEND, then PAGE BY EMAIL, and follow the prompts. We thank you for visiting; please come again--with all your friends.